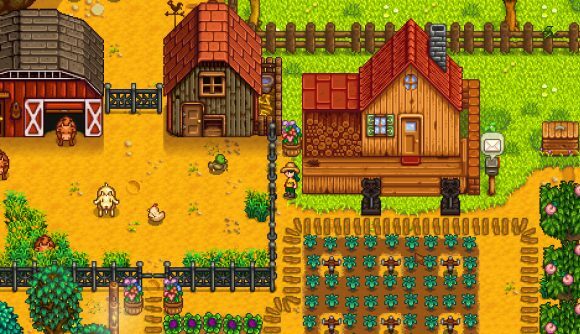 Stardew Valley was is the largely the work a single developer: Eric ‘ConcernedApe’ Barone. That only makes the farming RPG’s success even more heartwarming, but there was one other factor in the game’s release. Publisher Chucklefish brought the game to market on Steam and other platforms, but now Barone is parting with the company in order to go self-published. “When I first released Stardew Valley,” Barone says, “I was a complete novice to the video game industry. Chucklefish, as my publisher, oversaw the distribution, console ports and translations of the game. They set up the official wiki and helped me redesign the website, to great effect. And of course, Tom Coxon did amazing work adding network code to the game, making multiplayer a reality. Meanwhile, Chucklefish is pushing toward the Wargroove release date and also working on magical school RPG Witchbrook. What the future holds for Stardew Valley is unclear, but hopefully we won’t have to wait much longer before we can find out more.